That’s the way Merriam-Webster defines it. 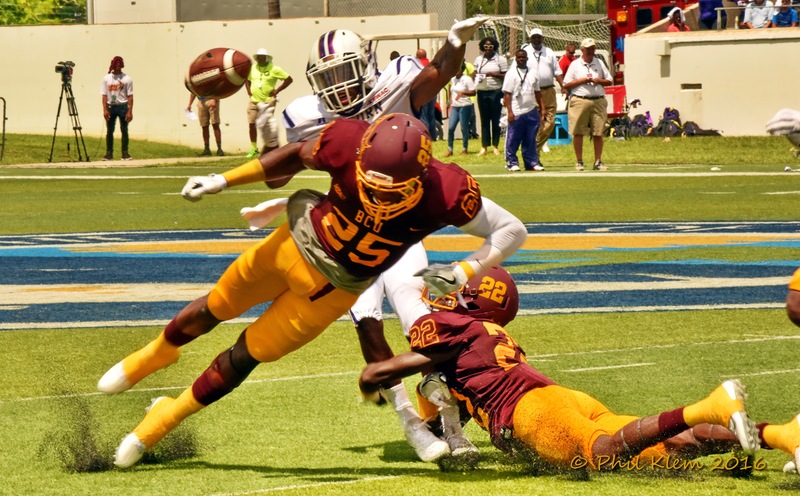 In Daytona Beach, Terry Sims hopes to define it as “the return to the summit of MEAC football” as Bethune-Cookman look to amend last year’s sub .500 record and return to the form that saw the Wildcats capture a share of the conference crown in Sims’ first season in 2015. 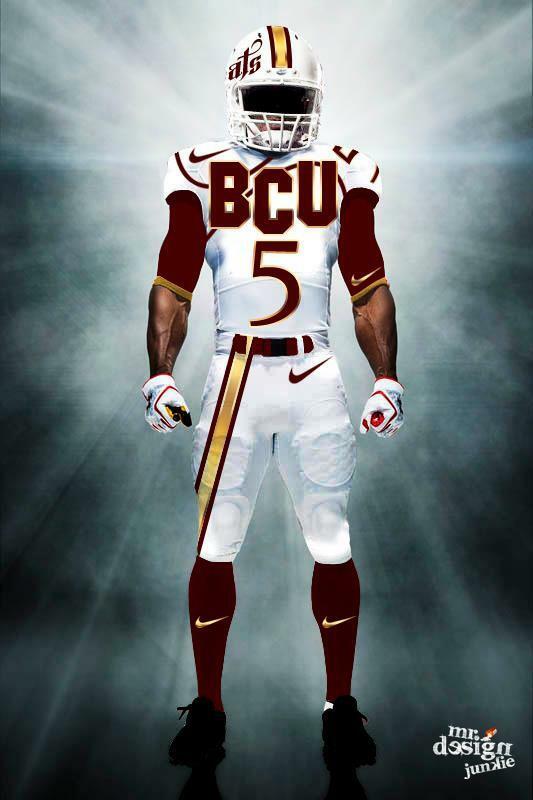 The “Resurge” theme is attached to everything BCU football. Players and coaches all wear T-shirts with the simple message. It’s on the BCU Athletics webpage. It’s plastered over @BCUGridiron social media sites. In just a little while, we get to see if it is visible in the most important of places…… on the field of play. There is good cause for the heightened optimism heading into the season. The Wildcats return 8 starters on offense, 7 starters on defense and all of their return specialist from a season ago. Offensively BCU was sluggish and disheveled for far too many long stretches in 2016. New offensive coordinator and former Wildcat great Allen Suber will look to remedy that by picking up the tempo and adding a few more wrinkles to this year’s offense. He will get a boost at his former position in the form of returning experienced signal callers Arkevious Williams and Larry Brihm. Williams will get the nod as the week one starter but we expect both he and Brihm to share snaps throughout the course of the season. Whether it’s a shared responsibility or someone steps up and claims the position as their own, production at the quarterback position is a must if BCU wishes to RESURGE. The do-it-all Michael Jones was a Preseason 1st Team All-MEAC selectee in 2016 but missed the entire season with a foot injury. Jones, who can run with power, run with speed and catch the ball out of the backfield, seems to be back at full health. If Jones is fully recovered from his injury, the running game should be much improved. Jamaruz Thompkins, Camron Rigby and Tupac Isme all saw significant minutes due to Jones’ injury last year and each will vie for carries and look to redeem their time in the crowded backfield. 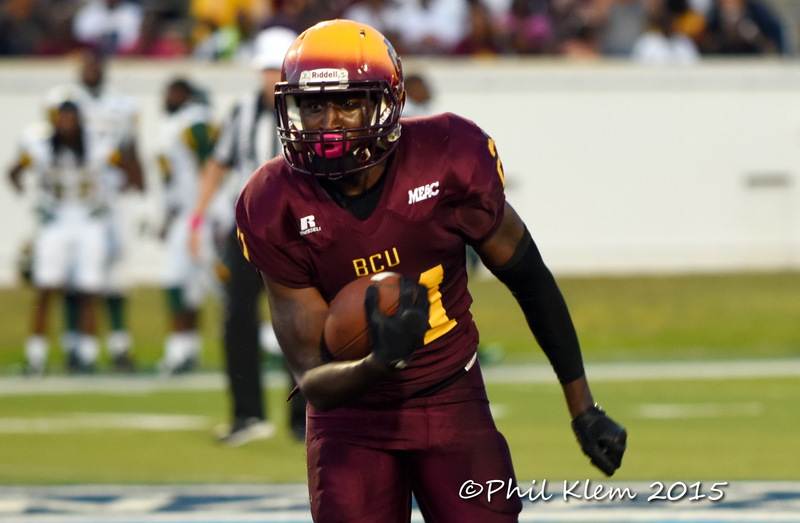 The receiver position is perhaps the best and deepest position on the field for BCU. Frank Brown and Jawill Davis individually are as good as any receivers in the conference. As a tandem, it would be hard to argue that you will find a better duo in the MEAC. Brown has above average hands and good route running ability while Davis is more of the traditional speed receiver who can take the top off defenses. Add to the mix junior receiver Keavon Mitchell and converted quarterback Anthony Cruz and you have a bevy of dynamic receivers who are electric with the ball in their hands. Ja-Quan Lumas is an outstanding pass catching tight end. Look for Lumas to move around more in Suber’s offense and try to present match up issues for the opposition. The immediate impression you get when looking at this year’s offensive line is they are still big but a lot leaner than in years past. I mean don’t get me wrong, there are still some “big-uns” up front with guys like Job Buisserth who checks in at 6’4”, 315. However, you’re likely to see some lineman like Jerry Beauchamp play 40 pounds lighter than Buisserth. There seems to be more of a primacy on technique, footwork and mobility as opposed to sheer girth and size from the guys up front. Defensive ends Kevin Thompson and Todney Evans anchor the defensive lines. Thompson and Evans offer great athleticism and speed coming off the edge. The biggest question mark for Earl Lane’s defensive front will be trying to replace DeMarcus Womack’s behemoth size and production. Dishawn Ray and Malik Slaughter offer the size and experience; let’s just hope they offer similar production. The linebacker corps must improve from a season ago. It is as simple as that. Trenton Bridges is a really good football player at middle linebacker but there was a noticeable drop off after Bridges in 2016. Alexander Morales had to be moved from safety to outside linebacker to stabilize the position in the middle of last year. Thankfully Morales made his share of plays and we are hoping he can continue his maturation at the position. Marquis Hendrix is another guy who has a chance to solidify his name as a playmaker at linebacker. Hendrix originally signed with Boise State and he has all of the physical attributes needed to excel at the position. Veion Robinson, Atreyu Farrior and Deonte Mayo all saw frequent action at linebacker last year but all need to show improvement in their positioning, finishing of plays and consistency. Diquan Richardson, Arthur Williams and Elliott Miller are all returning starters and good players in the secondary. The veterans will look to anchor a defense who finished middle of the pack in the MEAC in both scoring (25.2ppg) and total defense (349.2 ypg). 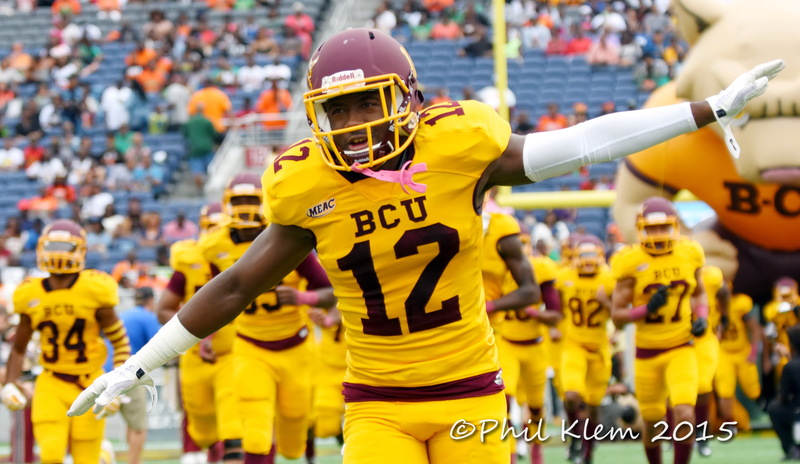 There is a lot riding on this season for Bethune-Cookman. A successful campaign could very well see the Wildcats “Resurge” and reestablish their dominance in the conference. However, another mediocre year could spell trouble for the years ahead. When you add all of this up, it says the path to the MEAC crown is more open than the claim to the Iron Throne in King’s Landing. It is not a stretch to argue Bethune-Cookman can bounce back and earn a trip to Atlanta by winning it’s 6th MEAC crown in 8 years. The crazy thing is we can also envision a very real scenario in which BCU finishes around the .500 mark again. The Cats open the year with 4 straight road games including games against FBS opponents Miami (Florida) and Florida Atlantic in the first three weeks. Sandwiched between the FBS games is an out of conference matchup with Southeast Louisiana. For the sake of all that is maroon and gold, we hope to see the former of the two scenarios. It all begins at 12:30 P.M. Saturday, September 2nd when BCU take on 18th ranked Miami at Hard rock Stadium in Miami Gardens.